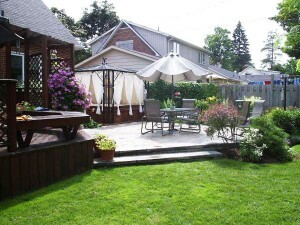 There is nothing like outdoor living in the summer time and it has never been as popular as it is today! 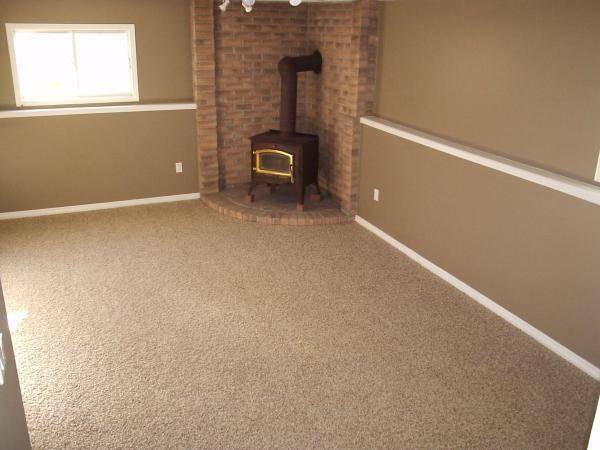 What better way to entertain guests than on a new deck! 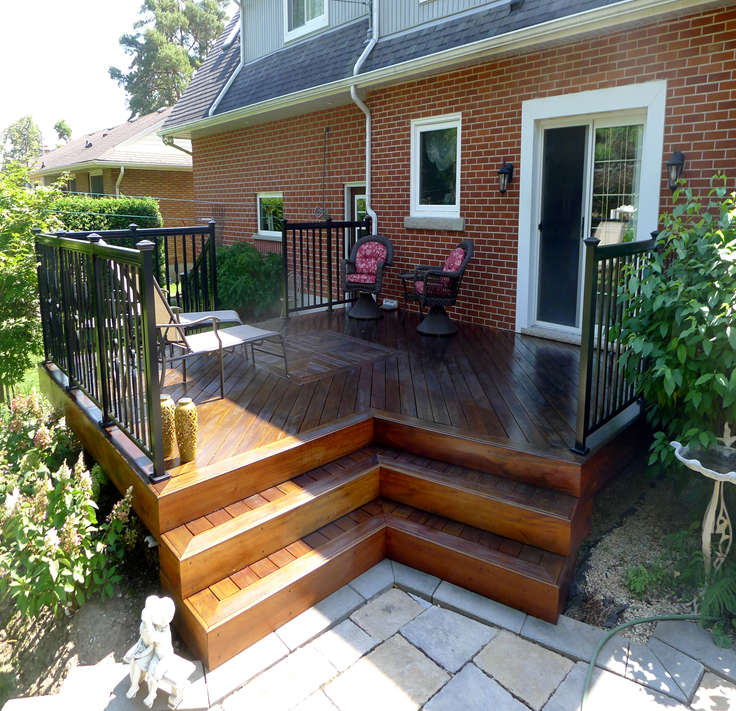 Decks are a great addition to any home, increasing living space for the summer months. Deck construction can be as simple or as elaborate as the budget allows in both design and material. From single level decks to multi-level decks, options and design possibilities are endless. 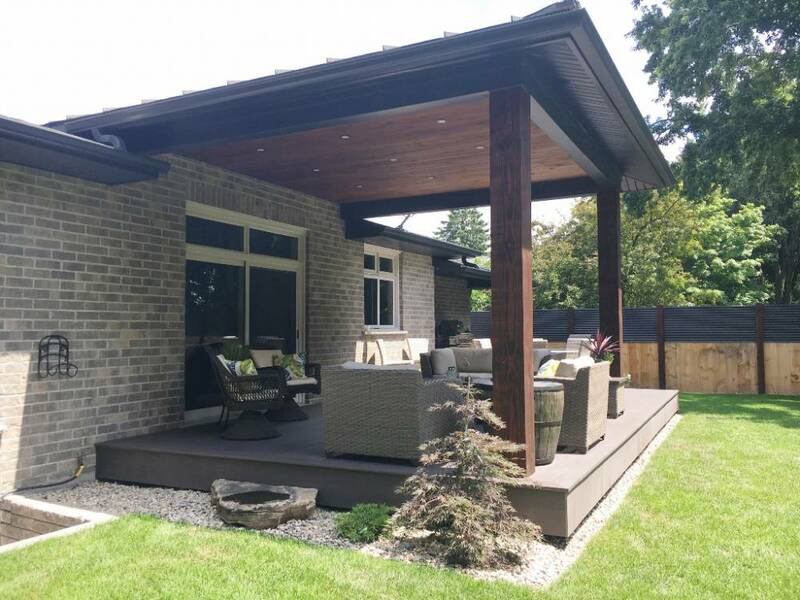 Deck material manufacturers have put a lot of time and effort over the last number of years in creating new materials as well as perfecting old materials to make products more durable and more aesthetically pleasing. A pressure treated deck a number of years ago was coloured green but now with the new ‘sienna’, colouring is more brown and looks much better than it used to. 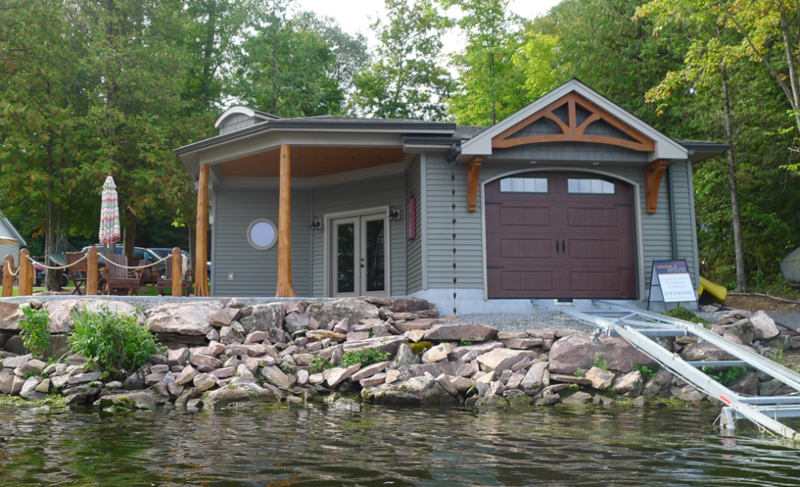 Durable, maintenance-free options in composite materials have also come along way with more colour choices that can compliment your home. A wide range of railing options also gives you choice and selection to be able to make your deck project unique and custom made for you. We have experience working with all materials from North American woods to exotic woods as well as composites and would be happy to be a part of your deck project. Maybe you need a fence for privacy or a way to keep your kids or pets on your property? 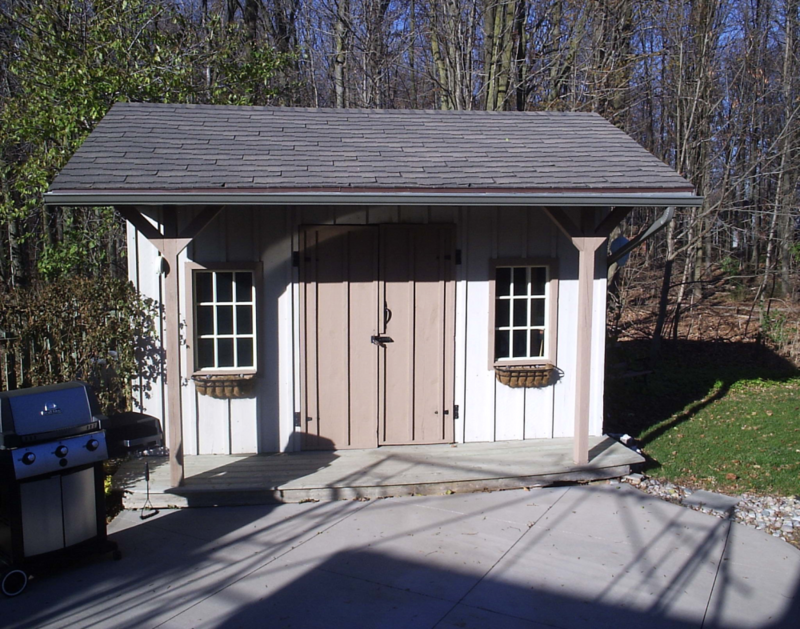 The possibilities and options are endless and we know that whatever your needs, we can help by building it for you! We offer the complete package from design to completion and would be glad to help you with your outdoor space.